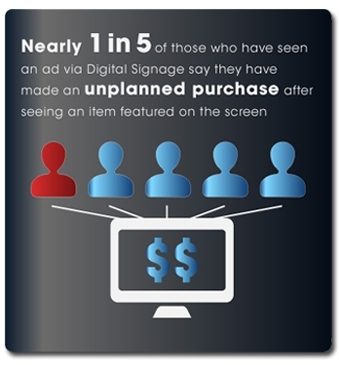 Digital Signage is no longer a luxury, it is a Necessity for your Business Success! Now, more than ever before, Digital Signage is Affordable at any budget. Let us show you how - contact us today. 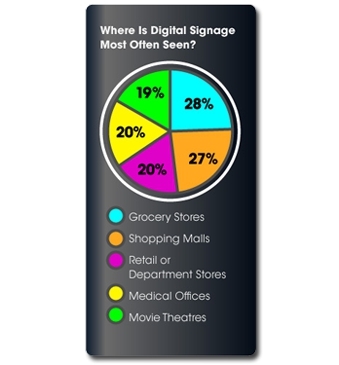 Who can benefit from Digital Signage? From the smallest to the largest corporations and organizations, the goal is the same...get your message to as many people as possible...and make them want to watch, listen and act. 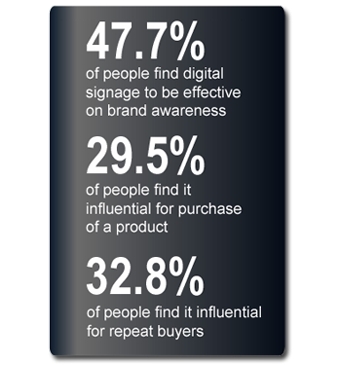 More and more businesses and organizations are using digital signage to achieve this goal and that's where we come in. We'll give you the tools to enrich your audiences experience, build brand awareness, loyalty and most importantly, get the results you desire. 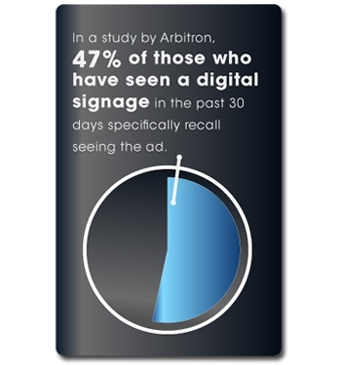 Digital signage ROI (return on investment) is proven and you'll know you are taking the right steps for your organization's continued growth. Using a highly advanced digital signage platform, we provide you with the flexibility and scalability you need to meet your marketing goals.